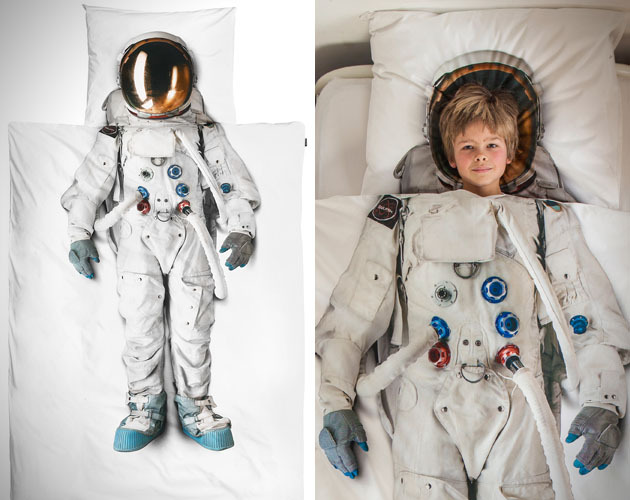 I wish I had this bedspread and pillowcase when I was watching Neil Armstrong walk on the moon a jillion years ago. I would buy it now but it’s only available in twin size. Alas. This out-of-this-world product is available from an Amsterdam company called SNURK Bedding. On second thought, it might be good for keeping warm in front of the television while I’m watching Star Trek reruns. I bet they’d sell some if they had queen-size.. (I’d still have to convince Diane.. might be another “5-year mission..”! ).